Luisita and Elizabeth are both prime players in the newspaper industry. While Luisita works at the foreign correspondents desk sending reporters all over the world, Elizabeth is a foreign correspondent hoping for a prime assignment. When the two meet, there’s an undeniable attraction. Elizabeth is not free, however, as she is married. But this doesn’t stop the covert flirting and the undeniable attraction that both women feel toward each other. When Elizabeth is sent to the Philippines to document the fall of Ferdinand Marcos, Luisita longs for her and the letters that come with both urgency and frequency. Soon Luisita has found her way to Manilla to be with the woman she loves. But their romance is a stormy one, with Luisita being prone to moodiness and rancor and Elizabeth being just as prone to silence and distance. As their courtship moves along one halting step at a time, both women discover themselves as individuals and as a part of their blustery relationship. To friends, the writing is clearly on the wall, but the two young lovers must find their way alone. As each flies off to cover crisis after crisis all over the globe, the relationship that they cherish so deeply begins to crack. Will the women be able to stave off the many threats to their relationship? Or will space and time give them the means to reflect on what is and what once was? In this haunting memoir written by Luisita Torregrosa, all questions will be answered and all emotions probed—from the first blush of love to the last stinging blisters of doubt. This was one of those books that I’m not sure what I felt about it. While I loved the intimate portrayal of a relationship between two women and the secrets and doubts that they both shared, there seemed to be a dearth of passion in the writing. For me to really have had enjoyment out of this book, there needed to be more substance and more detail about the relationship between Luisita and Elizabeth. I’m not saying that I needed graphic bedroom scenes, but the fact that this memoir is written with absolutely no romance at all left me feeling a bit distanced from the story. Luisita as a partner seemed a bit on the needy side, which is one of the things that Elizabeth didn’t like. I don’t want to say she was whiny, but she did frequently complain about both her job and her relationship. She had always longed to write a book but could never get her dreams up and running. She was often lost in a sea of emotion when Elizabeth wasn’t there, and her bouts of moodiness got to me as well. I didn’t really enjoy spending all this time in her head. Elizabeth was more of a go-getter, and though she tried to be the woman that Luisita wanted, she was often distanced, both emotionally and physically, by Luisita’s moods and her trips around the globe. I wanted to like her, but she felt more like an object in this story rather than a character, which puzzled and bothered me. Ostensibly, this was the story of a love affair, but the participants never visibly exhibited love to one another. It seemed more like possessiveness and territorialism. One thing I did enjoy about this book was the fact that there was so much coverage of recent history woven into the story of the relationship. From the fall of Marcos to the rise of Corizon Aqino, Torregrosa allows these parts of the tale to break through like the sun from her cloudy and tempestuous relationship with Elizabeth. Those were the parts of the book that I enjoyed most and wished there had been more of. While I didn’t love this book unabashedly, It was a rather interesting story to take in. I think the author and I would quibble over what we think a relationship is exactly, but I do appreciate the honesty and unguarded spirit with which this book was written. I can imagine that there was a huge emotional toll taken in its crafting. A troubling book, but one that I found strangely enthralling. 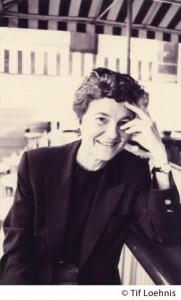 Luisita López Torregrosa is the author of The Noise of Infinite Longing and was an editor at the New York Times. As a special correspondent for the San Francisco Chronicle she reported firsthand on the coup attempts against President Corazon Aquino, the communist insurgency in the Philippines, and the protests in South Korea that led to the fall of authoritarian rule. 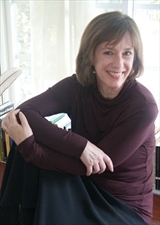 Her articles also have appeared in Vanity Fair, New York Times, Condé Nast Traveler, and Vogue. Tuesday, September 18th: Book Club Classics! Tuesday, September 25th: Bonjour, Cass! In this tale of hope mirrored with sadness, a young woman named Xenia, raised with impeccable standards in a family of lesser Russian nobles, carves her own strange path through life and death. When Xenia is just a young girl, she falls desperately in love with Andrei, a young singer in the Russian court. Born with the gift of seeing beyond the constraints of this world, Xenia is not your typical Russian woman. When it’s discovered that Andrei returns Xenia’s affections, the two are married and live a life of indisputable ardor. As their love blossoms, tragedy strikes the couple and threatens to tear them apart. Before either can recover, Xenia has a frightening prediction that will leave her shattered forever. Though this prediction actually affects someone else, Xenia’s gift for telling the future brings her only pain and sorrow. When her life changes drastically, Xenia also drastically changes, and becomes like a wisp of smoke in the wind, slowly giving all her possessions to the beggars in the street and descending into a frightening madness that nothing can stop. As the years drift by in a painful and unstoppable progression, Xenia becomes a famed mystic among the residents of Petersburg: a seer of unimaginable power. Her story, both deeply mystical and penetratingly sad, is told from the point of view of her beloved cousin, Dasha, a woman with her own passions and dreams who has been by Xenia’s side since childhood. It wasn’t until I read this book that I discovered that this was a fictional tale based upon the life of a very famous Russian saint, Xenia of Petersburg. Debra Dean writes convincingly of a woman torn apart by grief, and yet spectacularly awe-inspiring in her ability to foretell future events and bring aid to the poor. One of the things I really liked was that it was told as a fictional tale, without the use of magical realism. While I do enjoy a well crafted story that features magical realism, I feel that this book would have suffered had this effect been included. The story of Xenia is really a very sad one. It was clear that even as a child, she struggled with visions that she attributed to God and that all came frighteningly true. As she ages, she can see into her own future, and there’s nothing that she can do to prevent what will happen in her life. She does the miraculous but pays for it time and time again. This element of the story wasn’t overtly centered though, so Dean was also able to share the story of Dasha and her life in this tale. For many years, Xenia and Dasha struggled to find their places, both with each other and with the wider world around them. I could wholeheartedly relate to Dasha in this tale. Her love for Xenia was overwhelming, and she gave up almost all her future prospects to care for her cousin, both before and after her tragedies. Dasha was just as selfless as Xenia was, but she was still concerned with the necessities of life, whereas Xenia strove to free herself from all physical encumbrances. This became a sticking point between the two, with Dasha becoming convinced that Xenia was mad. In her secret heart, she knew this wasn’t true, but Xenia’s startling actions produced a great anxiety in her, and she didn’t know how they would survive if Xenia continued on her path. When Dasha’s influence over Xenia’s life waned, Xenia went on to become a hero to the people of Russia and a beloved figure who was a gifted seer and who aided the helpless. For years, Dasha struggled with this, and tried repeatedly to bring her home once again. Xenia was beyond the borders of what Dasha could handle, and wanted to live life on her own terms. It was interesting to see the fixed impressions of Dasha change towards her beloved cousin, and for her to accept privately what everyone else already did. If you’re a fan of mysticism in any way, I would recommend this book to you. Lovers of historical fiction and family sagas will also enjoy this unique look into the famed life of a woman who could be pinned down with no words or actions. While this book is not religious, it is deeply spiritual, and was both engrossing and in some ways fantastical. Though this was a short read, it was rather weighty on matters both practical and spiritual. Recommended. Debra Dean’s bestselling debut novel, The Madonnas of Leningrad was a New York Times Editors’ Choice, a #1 Booksense Pick, a Booklist Top Ten Novel, and an American Library Association Notable Book of the Year. It has been published in twenty languages. Her collection of short stories,Confessions of a Falling Woman, won the Paterson Fiction Prize and a Florida Book Award. Her new novel, The Mirrored World, will be released August 2012. A native of Seattle, she lives in Miami and teaches at Florida International University. Connect with Debra on Facebook. In this satirical yet often humorous novel, Thomas KIng blurs the line between fantasy and reality to tell a tale of a culture that is vastly underrepresented and often tragically marginalized. When three very aged Native Americans get loose from the institution that houses them, Dr. Hovaugh is more than alarmed. It seems that every time these three go missing along with their favorite trickster, Coyote, bad things happen. But this tale isn’t solely mystical and surreal, for King also follows the lives of a handful of Native Americans and their daily struggle with society, law enforcement, and themselves. Alberta wants a baby, but her choices of a mate are limited to Charlie, a smug Native American who has left the reserve to become a sleazy lawyer, and Lionel, a man with unrealized potential who has stayed on the reserve all his life but has never amounted to anything. Latisha, a single mother, is also living on the reservation, caring for her three children and trying to forget the caucasian husband who left them for his own particular whims. And Eli is an elder Native American who is fighting the system each day just by staying in his own log home and threatening the way of progress. As they all move closer and closer to the annual Sun Dance Festival, a tribal time of togetherness and community, the three escapees and Coyote are headed that way as well, making this year’s Festival a time of limitless possibilities fraught with palpable tension. Blending Native American myth with sardonic Christian flavor, Green Grass, Running Water takes the reader on a journey of the fantastical and the commonplace, and seeks to give root to Native American culture with both gravity and levity. When I read about Aarti’s premise for A More Diverse Universe, I thought it sounded like an excellent and intriguing idea. 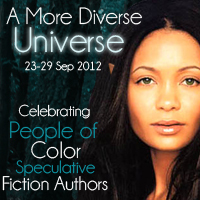 My thinking was that if enough blogs chose to participate, this event could take on a life of its own and have readers searching out fantasy and science fiction that strays out of the color bounds and gives voice to those who are seldom heard. I, of course, didn’t even know where to begin in searching for a book, but Aarti was very gracious in finding a few that she thought I would enjoy. I chose this one because it was a favorite of hers and because I shamefully admit that I know very little about Native Americans. I think it was a great choice for me. Part of this book was entirely fantasy, with the three ageless Native American protagonists and their wild coyote tagalong miraculously escaping the confined ward that they are in and heading off into the sunset. But along the way, they must reweave the world and try to tell the story of creation to each other as they travel. Most of these sections were hilarious, with a clever blend of Native American storytelling that seemed to always get polluted with Christian ideology. It became a mix of both the beautiful and the absurd as each member of the band tried to tell the story his own way, albeit unsuccessfully. Each story was rooted in the fundamental truths of how the Native American culture has been basically whitewashed by those Americans who seek to stamp out diversity and difference of any kind. Another thing that came up time and time again was the imagery of water. Every story that the Native Americans told had water symbolically placed within the tale. I believe that this water symbolizes the Native Americans as a whole. As a people, they’re always flowing around those who seek to stop them, be it in their rituals, laws and practices, or in a society that doesn’t want to know about the lengths we have gone to to eradicate them. In one crucial piece of the story, the water was literally being held back by a dam that threatened to change the way of life for the Native Americans of this story. That is indeed some of the strongest symbolism that I have ever encountered. The personal aspects of this tale were also rather engaging. Both on and off the reservation, the Native Americans strove to be individuals, as well as to either distance themselves or come closer to their original heritage. I particularly liked Alberta’s story. She seemed very headstrong in her refusal to commit to one man, while still remaining desperate to have a child. In the end, I was pleased by the choice she made. I was also rather fond of Lionel, a man who was forced to take a strong stance by the end of the novel that he was unable to undertake in the first few sections. But then again, there were those helpful Native Americans and their coyote around to assist him in making changes. Like the water that was so copiously running through this tale, this was a fluid story that could change on a dime. It was engaging and left me more compassionate and genuinely interested in the Native American heritage and their modern plights. It was impossible not to feel a range of emotion when reading this book, from giddy happiness to reactionary anger. I was glad that I was exposed to this book and hope that more readers pick it up. The story is one that will stay with me and have me asking questions and seeking answers well into the future. A great and highly entertaining read. Recommended. Twelve year old Ricky Davis is the son of a garment cutter and part-time bookie. His mother, Pearl, is a beautiful woman who is passionate in both her love and hate for the man whom she is married to. Things begin to get very dangerous for the family because Ricky’s father owes money to the mob and they are bent on collecting it, even to the point of taking Pearl as collateral. Though Ricky is supposed to be practicing for his bar mitzvah and spending time with the girl he fancies, he’s more concerned with making things right for his family. The grandmother who lives with him also wants to make things right, but each of them has their own way of doing things. Being a youth in Brooklyn during these times is no picnic, but Ricky seems to have a way of doing things that not only gives him a wealth of experience but also puts him in the midst of some shady characters and unforgiving bullies. As Ricky goes about his life trying to help his parents, he is unshielded from their loud arguments and frequent fights. In this coming of age tale, Goldstein shows us the darkness and the light in Ricky’s monumental struggle for his family’s honor and for his own freedom from a family that both emboldens and suffocates him. I had expected this book to be very light and frothy, but in essence, this was a very gritty and dark tale. Though Goldstein takes care to thread humor into his story, the book was fiercely gripping and had me very anxious to discover the family’s fate. There was a lot about this book that surprised me, and in its own way, I believe that the book felt and read like a memoir, yet it was billed as a fiction release. Ricky was a character that was impossible not to love. He wasn’t a tough guy or a punk, but a boy who was experiencing life as it was and who made the best out of bad situations. He was both amiable and kind and had a penchant for trying to fix problems that were not his own. Most of the time, his help wasn’t helpful at all. I truly cared about him, and through his eyes, I could see the mother and grandmother he adored and the father that seemed so staunchly mystifying to him. Here was a child that wanted to be a man, yet could not stop thinking like a child. I also thought that the relationship between Ricky’s parents was like a battlefield, with each side mounting attacks upon the other and taking casualties. I didn’t necessarily like Pearl but I could understand where she was coming from and the idea that she held about putting her family first. She was a proud woman but not socially or financially advanced. This often left a gap between who she was and who she wanted to be. At times, I believe that she put immense pressure on her only son, and it was interesting to see that Ricky could also see this. While Ricky’s mother was a rather easy character to relate to, his father was not. Goldstein was adept at making the reader feel the distance between Ricky and his father, as well as his distance from the reader. His way of coming up with cockamamie schemes to bring wealth to his family and pay off the mobsters made me rather angry, and I took umbrage for Ricky’s sake that these schemes never paid off. I began to see that life was a series of games of chance to this man, and that he may have been incapable of ever really relating to anyone at all. During a pivotal scene in the book, he begins to share his feelings with Ricky, but this too felt distancing and confusingly rough. While I didn’t expect that this book would be so dark and sometimes brooding, I did fully appreciate the depth and breadth of character scope that Goldstein plied in his story, and I felt very close to some of the characters by the end of the book. The author’s skill in evoking place was also very exciting and made me feel as if I was there, looking in through a window to the past. This was a very thrilling read and one that will have a large impact on its audience. Very intriguing and well executed. In my early twenties I was selected as a Bread Loaf Fellow and had my nonfiction book, Becoming: An American Odyssey published by Saturday Review Press. However, in order to make a living while writing I worked at many diverse jobs: tree planter and assistant librarian in Oregon, organic orange and olive farmer in California, school bus driver, Zamboni driver, editor, stock broker, power transformer tube winder and tennis pro in the Berkshires, and custom builder in the Boston area. I’m slowly transitioning out of construction and becoming a full-time writer. I play competitive table tennis three times a week, mentor a ten-year old boy every other week, and take care of my grandson one day a week. He fills that day with joy. I grew up in a world that no longer exists: The Bronx 1947-1960. The Bookie’s Son, based on my childhood, was the story I wanted to tell. I have been writing The Bookie’s Son on and off for forty years. When Felicia is killed in a terrible accident, her bright future is cut short. But death isn’t the end for Felicia, as she has woken up inside a hive of blinding and pristine whiteness. There are others inside the hive, and as they stumble about numbed and forgetful, it seems the only thing that keeps them going is plugging into their separate memory chambers to relive bits and pieces of their lives over and over again. Though Felicia can’t remember much outside of her chamber, she forms a bond with two girls inside her hive and tries to understand what has happened to her. One day, after groggily exiting her chamber with her companions, a stranger with a familiar face seems to penetrate the very walls that are keeping the hive together. It’s Julian, a boy Felicia never expected or wanted to see again. When Julian tells Felicia that she must escape, she’s taken on the most dangerous of journeys, hunted by the beings who are prospering from her and her friend’s memories. As Felicia and Julian get further and further away, the danger becomes more and more apparent, for the sheer unstoppable forces that the enemy are using to hold her will do anything to keep her. But as Felicia and Julian advance, memories of her life come more clearly into focus, and in a place where she can trust only one person, can it be that Julian cannot be trusted at all? In Level 2, Lenore Appelhans gives us a frightening look into the world between here and heaven, and takes us to the brink of uncertainty through the use of magic, myth and religion in a potent and terrifying thriller that guarantees you will never think of heaven in quite the same way again. In a white and sterile world, there is life. This is where the story begins, and through flashbacks the author sets up a vast and foreboding set of circumstances that will gradually reveal how Felicia died and where she ended up. As the energy from her memories is being siphoned off, it’s almost like a puzzle to decipher why someone would want to do something like this and why the people around her can’t remember even the basics about themselves or how they got to where they are. In Applehans’ world, there is a deep symbiotic relationship between the darkness and the light, the powerful and the powerless, and the agents of evil and peace. As Felicia becomes more and more aware of what’s happening around her, she suffers terrible losses and must learn to cooperate with the devil she knows versus the one she doesn’t. This is a complex tangle of science, mysticism and spirituality that seems to defy any box that you can put it into. It’s textured and layered storytelling of the best kind, the type of tale that both compels you to delve deeper into chasm it’s created and to pull away from the darkness that is engulfing everything that Felicia knows and loves. Even as Julian is saving Felicia, one wonders what his true motives are and what he’s hiding. He seems amiable and sincere, but there’s something hiding underneath, and the group that he has allied with aren’t the nicest sort. As I read, I wondered if there was more to Julian’s saving Felicia than he had asserted, and surely it seemed as though the more I learned about him, the easier it was to distrust him. But the author has a few aces up her sleeve when it comes to the true motives of this character, and the circumstances get even more surreal by the end of the novel. In Felicia’s heart, there’s only room for one: the one whom she left behind. But the closer she comes to the terrible beings that are holding her and innumerable others prisoner, the closer she comes to the truth about the love she left behind and her life before Level 2. In the perfectly pitched and highly tense narrative, Felicia will find out more than she ever wanted to know, and she’ll have to make a choice that will affect not only her own soul, but that of those around her who are still slumbering in their hives, dreaming of the lives that they will never be a part of again. I enjoyed this book to the fullest and found myself speculating on character motives, wondering what was coming next, and actively engaging with the cast of very three-dimensional characters that Appelhans created. I was sucked into this white world that suddenly turned vivid and uncannily haunting, and was just as ensnared with the careful and compelling rendition of the plot. I’m eagerly looking forward to seeing what the author brings me next in her second installment, Level 3. A top notch YA novel. Highly recommended. Would you like to win an advance galley? Look in today's Shelf Awareness email! 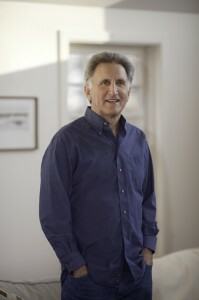 David Laurie is a ineffectual professor at Cape Town University who has just crossed the line with one of his students. Because he is incapable of showing any remorse or repentance to the college's advisory board, he is made an example of, and his position and pension are snatched away from him. A shameless seducer and lover of women, David is a curious mix. Though he is amorous, he is not passionate; though in some part of his mind he knows that what he has done is wrong, he is constantly justifying his behavior to himself and others. After losing his job, David takes flight to his daughter's rural farm and dog kennel in the eastern Cape, thinking he might rework the disgrace of his life into something more manageable through his labors on the farm. As David mulls over his life and the unhappiness he feels regarding his status as an age-addled Romeo, he finds himself assisting others in unlikely jobs and positions. As he helps his daughter tend the farm and operate her stall in the market, he also begins to assist his daughter's assistant who shares the land with her, and another friend who runs an underfunded animal clinic. One day, coming home from a walk, David and his daughter are attacked and terrorized by three men. The repercussions of this attack have tremendous consequences for David and his daughter, and it is only as they move further and further away from the event and its bizarre complications that David can see just how disgraced he has become. In this painful and spare novel, J.M. Coetzee creates a tale of violence and submission, desire and indifference, and the intense longing that a human being can feel to shed and discard a life full to the brim with shame. Last year, while doing my daily rounds on the blogs, I can across a review of this book on Steph and Tony Investigate, one of my all time favorite blogs. It was a rare double review, and I read the thoughts of Steph and her husband, Tony, with growing intrigue. The main thing I took away from their review of Disgrace was that this was in intensely powerful book, and that it was such a haunting read that it left both of them stunned for different reasons. When I decided to pick up this book on a lazy Sunday afternoon, I had no idea of its all-consuming raw power. I sat quietly for hours flipping the pages, becoming more and more carried away by the profound and piercing story that was unfolding before me. I’ve purposely left most of the aspects of the plot summary rather vague, as I think in the case of this book, it is necessary. In no way would I want to spoil this book for another reader. The early part of this book deals with David's struggle at the college and reveals how he gets himself into such a mess. It was very hard to like the man, for a lot of different reasons. A main point of distaste was his all-consuming need to assert himself as a virile and sexual man, and his completely inconsiderate actions towards the women whom he pursues. David is overly concerned, and some may even say preoccupied, with his virility and goes to great lengths to prove to himself that he is desirable to women. He blames his actions and behaviors on the touch of Eros that consumes his life. In this way, he takes no responsibility for the things he does and the problems he causes. He’s proud of these things and almost even glib about the way he gets women to succumb to him. His behavior towards the women who cross his path seems almost like a subtle form of dominance and territorial behavior. As things move from bad to worse in David's life, this attitude is the one thing that prevails, and though it’s sometimes masked by circumstance, it’s always there, lurking behind other things. It made David a tough character to sympathize with, but the events of the plot unfold so painfully and brilliantly that I found myself deeply sorry for him and for the course his life takes. Much of the cripplingly painful elements of this story surround two very different and complex situations that arise during David's time on the eastern Cape. The first revolves around the attack that is perpetrated upon David and his daughter. Though at first it was hard to see how this incident was going to influence the characters and what it would do to the remaining plot, eventually things stretched out into the horrible and panoptic situation that ultimately left David and his daughter broken semblances of what they had formerly been. I must admit that while I was deeply moved by these sections, I also understood that I was probably failing to really grasp the repercussions of what had happened and the ways they were going about dealing with it. On the surface, my awareness of their plight flowered painfully, but even now, days later, I’m still contemplating what all these things mean, both about the attackers and the victims of this particular crime. There comes a point in the story where everything reaches a horrible crescendo, but it’s almost impossible to understand all this entails with only a cursory first reading of this book. The impressions I’m left with speak to my heart of exploitation and retribution, shame in its many forms, and subjugation. The second situation that this book tackles has to do with animal rights. When David begins his work at the clinic, he’s forced to do some very unkind things to the animals he comes in contact with. Mainly it’s the country's many dogs that bear the brunt of this harsh treatment. I don't really want to give too much away other than to say that reading these sections was heartbreaking and horrible at times. It made me want to go search out my dogs, who were lazily lolling about the house, and give them hugs and scratches and tell them how much I love them. It made me want to cry. Disgrace makes the argument that the plight of some animals in South Africa is very bleak indeed, and forced me to deal head-on with some uncomfortable situations and ideas. While these messages were be brilliantly delivered, I also found them to be caustic and painful. There’s not much more to be said about this book without giving it all away. In Coetzee's neat and spare prose, he manages to rip through all of his reader's comfort zones and take them to a place so visceral and exposed as to leave them speechless. It was an extremely powerful book and one that constantly shocked and surprised me. A lot of it was not comfortable, and though it was filled with messages, it wasn’t typically preachy. I think much of the artistry of this book was the fact that the language and style of the storytelling belied the pathos of the story being told. Simple in its construction, the book was aching in its implications. If I haven't said so outright yet, this was a brilliantly constructed masterpiece of a book. It sends its reader on a trip that’s hard to forget and even harder to emotionally comprehend. A tightly constructed and fantastically unforgiving read. Highly recommended. Thomas Cromwell. For anyone living in the time of Henry VIII, his name alone would conjure up bitterness, anger and sometimes fear. But as Hilary Mantel reinvents Cromwell, she gives us the story of a boy who not only ascended to heights that he couldn’t believe, but who was also one of the biggest pawns that King Henry and Anne Boleyn played against the Church, the people of England, and each other. Abused as a boy by his destitute father, Thomas leaves England at a young age and finds himself seeking out war in France as a mercenary. As he travels around Europe, he makes friends in high places, eventually returning to England as a cloth merchant. It’s here that he makes an advantageous marriage and becomes the right hand man to Cardinal Wolsey, a man whom he much admires and who eventually dies at the hand of the King. When King Henry seeks to place Cromwell into an advantageous position in the court, Cromwell has no choice but to be the man the King wants. With his silver tongue, and alliances from overseas, Cromwell is forced to make the English people and the Catholic church accept King Henry’s pleas for a divorce from Katherine, and make a marriage to Anne Boleyn. But around Cromwell are men who are lethal to him and would love nothing more than to see him fail and fall. As Cromwell advances higher and higher into the upper echelons of the English court, he makes plenty of friends, all vying for their moment with the king. Will Cromwell deliver where Cardinal Wolsey has failed, and can he navigate the treacherous waters of the gentry and churchmen alike? In this remarkable and spellbinding tale, Mantel delivers her readers a Cromwell that is unexpected: one who is remarkably wise yet tragically placed in a nest of hungry vipers ready to strike. I bought this book in hardcover the day it came out, in 2009, hoping that I could make time to read it immediately. Well, that just wasn’t in the cards for me! When I initially decided to go for it, I picked up the print version, which I had very little success with. I’m not sure if it was a concentration problem or if it was just the difficulty of the text. Then I decided to go with the audio version, and that made all the difference. The narrator, Simon Slater, was perfectly matched to this book. His British accent and cadence of speech left me anticipating what would come next time and time again. His voice was remarkably droll when narrating Thomas More and perfectly pitched when speaking as Cromwell. He even had success with the female voices in the story. In my opinion, audio is the best way to go with this book. Slater makes the story come alive through his narration. History tells us that Thomas Cromwell was not a very nice man: a little ambiguous, very self-promoting and alarmingly cruel at times. But Mantel doesn’t play him that way towards her audience. The Cromwell between these pages is smart yet not arrogant, and has the good sense to cultivate friendships among whatever group he associates with. He is caring and compassionate, yet also has the power to be ruthless when the King demands it. This is really not a story about the King or his scandalous remarriage, but of the consequences that serving the King have on Cromwell and the ways in which he maintains his dignity while still doing the things he must. When his beloved mentor Cardinal Wolsey begins his descent into disgrace, Cromwell refuses to distance himself from him, even though his reputation could, and in fact does, become tarnished. There were sections in the beginning of the book that showed the effortless and nonchalant amiability between the two. Throughout the book, Wolsey lives on through Cromwell, and in his behavior, he is emulating the man to a large degree but with much better results, as history has shown. Cromwell’s direct and commanding presence and speech give him the ear of the King very quickly, and though he doesn’t wish it, a large number of noblemen seek him out for advice. In this tale, Anne is as awful as she has ever been, and Cromwell becomes her pet, doing her bidding to save his own hide. Some would say this was cowardice, but Mantel writes Cromwell with such feeling, and his private opinions about his service to the Queen-to-be are so wry, that I came to see it only as a strategic device and not an alliance of any kind. Anne and Henry have a very odd relationship, almost courting one another through Cromwell, who is the King’s emissary and Anne’s go-between. I must also mention that the writing in this book was brilliant. Mantel knows exactly how to structure scene, place and dialogue to the most effective degree. I found that this was a book that I could listen to for hours and never become bored or overwhelmed. Her prose is elegant and smooth, and goes down easily. With Slater guiding me through this audio version, I felt as if I was being carefully caressed with the tale of a man who became the King’s confidant and the up-and-coming Queen’s pawn through her sly machinations. Would I recommend this book to you? Well, there are really two answers to this question. If you are familiar with the history surrounding King Henry VIII, then a resounding yes would be my answer, but if you’re not the type to get caught up in the Tudor trappings, this might be a laborious read for you. I happen to love anything that has to do with the Tudors, so this was an easy choice for me, but those readers who dislike the political mayhem of England during Henry’s reign are best off passing this one up. Recommended with caveats. Today, my husband and I will be driving to Naples, Florida, to join Sandy, Heather and Jill for my most anticipated event of the year. Yup, that’s right. It’s time for SIBA! Unfortunately, I won’t have a lot of time to comment on blogs, but by Tuesday morning, be looking for me in your comments section and get ready to experience SIBA through my eyes, as I recap the event for you in all its entirety. I wish you all a very happy weekend, and will be so excited to share all that happened when I return! Shanghai 1920s. After a young girl is taken from an orphanage to train as a spy within a secret Chinese gang, she finds a cover identity as a beautiful songstress at a popular nightclub. Winning over the attentions of Master Lung, the man she is hired to assassinate, Camilla lives a life of luxury and danger. But when two other “skeleton women” come onto the scene, Camilla’s job becomes even harder. The first is Miss Shadow, a remarkably talented magician who seems to want to steal the limelight from Camilla and her patron, Master Lung. The other is Rainbow Chang, the androgynous queen of the gossip column who has the potential to make or break Camilla’s singing career. As Camilla fights for advancement in her craft and for the secrets that Master Lung has been hiding, her real boss, Master Wang, is getting impatient and wants Camilla to destroy Lung and take over his empire immediately. But what Camilla doesn’t count on is falling in love with two very different men, both tied to Lung in unbreakable bonds. As the young skeleton woman arranges her life to be stealthy at times and ostentatious at others, she unwittingly sets off a chain of events that puts everyone in danger, not only Lung and his men, but the other skeleton women who have befriended her. I have to admit that I started off hating this book. From the first chapter, I had to hear all about how beautiful Camilla and her enviable twenty-one inch waist was over and over again. This, unfortunately, was a long string that threaded through the book, never letting up. Yes, Camilla, I get it, you are beautiful and men desire you while women wish they could be you. It was at times more than a little disgruntling. The story was also very repetitive, with Chinese proverbs thrown in for good measure, some appearing two or three times. The book started off slow and I was really unhappy to have to wade through the whole thing, but the action started to pick up midway through and the story became a little more inveigling. I thought the angle of spy vs. spy was a little overdone, but I was slowly becoming invested in it. It wasn’t a great read but it did leave me wondering what would eventually happen to Camilla. Unfortunately, there were other problems with the book that could not be ignored. First of all, there was a lot of thinly veiled erotica in this book, and it didn’t sit well with me. If I had to read one more passage about “his stone-like member entering my pleasure gate,” I thought I was going to have to put the book down. The author also chose to give Camilla the gift of contortionism, so this added a lot of raunchiness to the sexual scenes as well. I am afraid that I am just not the right person to read this type of book and become titillated. There were many sexual scenes in the book and I felt that if they indeed had to be there, they should have been cut by at least half. Another problematic aspect is that is seemed to lose direction towards the second half. The plot turned into something a bit unbelievable, and the denouement was rather easily achieved and predictable. While I found the book to be enjoyable in small doses, I couldn’t get over the obvious inconsistencies, like the Chinese men talking like American gangsters, or the impossible and unrealistic love triangle. I felt that the other “skeleton women” didn’t get much page space, and I really wanted to hear more of their stories, rather than the self-flattering Camilla’s. I can’t say this was a favorite read for me by any stretch, but it did enliven me for a few pages here and there, and some of the more shadowed plot elements did capture my attention. I think I started off offended by the obvious egotism of the main character, whose endless cogitation of her own beauty and her unfeeling destruction of everyone around her bored me and made me equally underwhelmed. Not a favorite by any means. Kensington author Mingmei Yip believes that one should, besides being entertained, also get something out of reading a novel. Her new novel, Skeleton Women, is about survival, letting go, and finding love and compassion. Her debut novel, Peach Blossom Pavilion, is the story about the last Chinese Geisha and also that of courage and the determination to succeed and attain happiness. Her second novel, Petals from the Sky, a poignant Buddhist love story, is about wisdom, compassion, when to persist and when to let go. Her third novel, Song of the Silk Road, is an adventure love story between an older woman and a younger man with a three million award on China's famous, dangerous route. 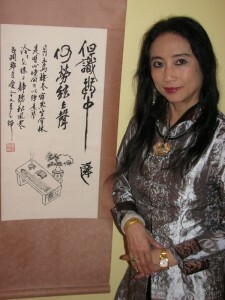 Visit Mingmei at www.mingmeiyip.com to learn about her books, music, paintings and calligraphy. You can also connect with Mingmei on Facebook and Twitter. Growing up in the 1970s, Ruthie and Dolly are almost feral children. Housed in the back of a station wagon with their compulsive mother, Diana, the two girls often go hungry and are skilled at picking through garbage and debris to salvage for their weekly stop at the pawn shop. Diana is a woman ruled by the moon, and spends her time plotting where she and her girls will land by the pages of The Farmer’s Almanac. Often too drunk to fully be aware of her girls’ safety, both Ruthie and Dolly are in harm’s way more often than not. But when Diana dies, leaving the girls to live at the Bethesda Home for Girls, they come to womanhood nearly as wild and unfettered as before their mother’s death. Many years later, when Ruth arrives at the same beachfront motel that the family once harbored at, she realizes that it has become a place where folks come to be lost and found. Taking a role as a caregiver there with her mother’s friend Ms. B, Ruth falls in love with a man who comes and goes like the tide. He can make her forget the past and yearn for the future, but in the end he is always wandering. After many years of his back and forth progressions, Ruth gives birth to Nadia, a child for whom the sea sings in her blood and who is prone to frightening visions. Naida is also no stranger to being different and must always defend herself from vicious bullies who live to torment her. It’s in this tale of three generations of diffident and headstrong women that Ilie Ruby weaves a tale full of Scottish sea lore and mystic Jewish traditions. As each woman in the family comes to see, things are not always as they appear in the moonlight. One could argue that this book was in fact very moving on many levels. On one hand it’s a story that captures the intense bonds between women, and particularly the mother-child bond. From the very beginning, the author captures the magical awareness and protectiveness of this bond, but she also highlights what could go wrong with a mother who isn’t capable of raising her children with the basic foundation of safety, emotional or otherwise. Diana didn’t seem like the greatest role model for her girls, and she often left them confused and angered at her tumultuous migrations and regular displays of drunkenness. Yet the girls loved her, and when Ruth becomes a mother herself, she vows to do differently for her daughter, creating a soft place for her to land and giving her the stability and emotional openness that she never got as a child. On the second level, this book unfolds as a dramatic tale of myth and legend, opening up the story to several different interpretations, themes, and varied symbolism. In these bits, scattered throughout the story with a careful hand, the author lures the reader in and builds suspense around the legends of the selkies, the mythical Scottish beings that appear as seals and shed their skin to walk on the land. It’s here that the family drama becomes tightly enmeshed in magic and magical realism. This interplay gives the book a slight fantasy bent and makes the final chapter from the point of a displaced Diana all the more powerful and significant. The third element branching off from this tale is the story of Nadia and the bullying that disrupts her life. Born slightly disfigured, she suffers from the cruel blows of name calling early on, but later this early teasing morphs into something more dark and terrifying. Nadia is a child with a special gift, but these gifts have burrowed deep inside her subconscious, and she is agonized to be so different from everyone else. The story within her is one of tempestuousness and unity with the force of the sea that she feels tied to. Her delicate situation leads her to her feeling very misunderstood and to taking chances that would be better avoided. She has a choice to make, and at such a young and vulnerable age, she is stoic and suffering. While I really liked the book’s deeper magical realism bent and thought that all the elements of the story worked in unity with one another, I also felt that this was a rather dark and tragic tale. It unfolds slowly, like a flower opening to the sunlight, but when the full tale was exposed, it was impossible to miss what had been hinted at all along. The greater depths of the mystic elements turned this book from a forgettable one to one that I am still pondering over, and may be for a long time. An excellent read. Recommended.